Astroturf originally uploaded by julietverni. However, I've been reconsidering that perception ever since I noticed the really soft, plush and deliciously green grassy carpet that my daughter's school installed on the playground. I became even more intrigued when I came across this article - The Little Georgia Town That Covers New York City in Turf by Deborah Kolben from 1/7/2008 - and I learned that Dalton, Ga [the carpet capital of the world] "has carved out a niche for itself as the manufacturer of New York's "grass" - the artificial turf that the city has been laying increasingly in parks and asphalt lots and ... public housing projects." 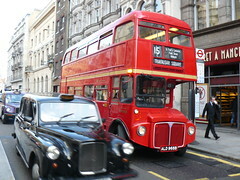 You see, I'm quite familiar with New York City and its so-called concrete jungle. I have first-hand knowledge of how hard and unforgiving many of those surfaces are. I've also seen some of what passes for park lawn... If it's off limits, it's a glorious site to behold. If it gets used, it resembles packed dirt more than grass. Anything offering additional cushioning has to be a plus. The article continues "to date, the city has replaced 90 of its 800 grass or asphalt ball fields with artificial turf, and another 23 are scheduled for conversion." In fact, the city is "one of the biggest consumers of artificial turf in the country." Wow! ...Which I found in About.com's the history of synthetic grass or astroturf. Two scientists from Monsanto [the company from which Solutia was spun off in 1997] invented Astroturf. Interestingly, the impetus for creating the product came from wanting to encourage young urban folks to become more physically fit. AstroTurf hit the big league when it replaced the Houston AstroDome's playing surface in 1966. AstroTurf, the company, no longer has anything to do with Monsanto. And its products have become much more sophisticated and specialized, with turf choices available by sport as well as by product. There are even DIY residential options [i.e, AstroLawn] with 9 product lines to choose from [including a sample set]! Although I'm noticing more relating to artificial grass [e.g., in Marco Island Capriers roll around on new carpet and in Kampala, Uganda, Carpet laid at Lugogo], I hadn't expected the extent of options or the breadth of adoption. - mowing [an absolute time-saver]. All these benefits in a lush, plush outdoor carpet. What better way to encourage and cushion outdoor play! 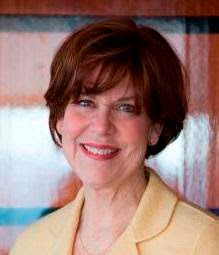 During Surfaces 2008, Kemp Harr, publisher of Floor Focus Magazine and FloorDaily.net interviewed Wear-Dated's own Marianne Cone. First, our overall theme: By The Foot, based on our award-winning marketing campaign. By The Foot updates Wear-Dated's reputation for durability [our tagline is "You'll Wear Out Before Wear-Dated Does."] with fashion and beauty, making us more relevant particularly to women consumers. 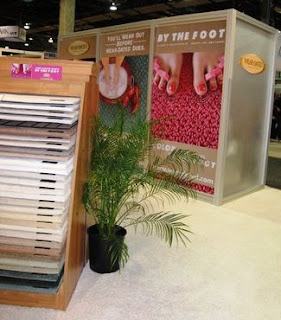 By all accounts By The Foot continues to generate enthusiastic reactions, and - we're hopeful - spirited conversation around fashionable carpet options. First introduced during Surfaces 2007, Wear-Dated Natural Nylon has been successfully adopted. We now have a multitude of products from well-known carpet mills showcased in our booth. Many are already available or will shortly be available to consumers. What is Wear-Dated Natural Nylon? "Wear-Dated Natural Nylon combines the superior performance characteristics of Solutia type 6,6 nylon with a proprietary insert technology that binds individual fibers together. The result is a patented fiber structure with sharp pinpoint tip definition and a natural ‘wool-like-look’ in constructions previously limited to BCF fiber, all with superior appearance retention." In other words, it creates carpet with the beauty, luster and hand of wool, in delicious pattern and loop styles, but with the durability of Nylon 6,6. Creating Beauty. Comfort. Durability. Pretty exciting! 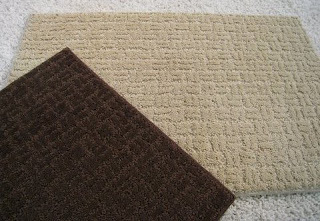 Finally, new carpet introductions made with Wear-Dated carpet fiber. Marianne describes some of the carpet styles featured in our Surfaces 2008 booth. More specifically she talks about Marciano from Mohawk and SuperChic from Tuftex [both pictured here; SuperChic is the intensely thick area rug, atop Marciano]. We hope you enjoy the interview, and the glimpse it offers into the excitement of Surfaces 2008. If you'd like to read more about our Surfaces 2008 experiences, you can do so with Surfaces 2008, The Elegance of Dupioni Silk and The Latest in Carpet Style Trends. A Carpet of Peace. Doesn't that sound worthy and inspiring? It reminds me of Miss Congeniality with Sandra Bullock and how 'world peace' progressed from insipid response to a truly worthy desire. I certainly yearn for Peace across the globe. I love that a carpet might be both symbol and enabler of Peace. The original announcement recently came out in Today.AZ All News From Azerbaijan and has been picked up by FloorDaily.net [although they did not include an image]. Azerbaijan likely to add to Guinness World Records with its "Carpet of Peace"
The due statement was made by Ashraf Geybatov, honored painter of Azerbaijan, currently residing in the Koblentz city of Germany. He informed about a unique carpet of 3x5 meters in size, which will be weaven by 30,000 people from all over the world. It will be called a carpet of peace. Our compatriot will participate in the project, as a carpet designer. "The carpet will be weaven in Newberg. Each tourist, a representative of any other country, will be invited into a special workshop to make a few knots. Those, involved into the process, will have to leave information about themselves and their work, on the site, which is to propagandize this project", Geybatov said. The technical part of the issue is currently being discussed. Imagine: 30,000 people involved in creating this symbol of Peace! 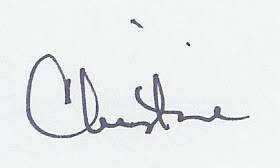 And that each should leave elements of his or her individual story behind so that the carpet can also be the centerpoint of all of those stories. I'm eager to learn more! I learned that an exhibition of his works will take place in the Vatican, the first ever exhibit of a Muslim artist. Heybatov comments that "his works "The Hell" and "The Heaven" were presented in the framework of an international conference, held on Rodos island, where they were noticed by a representative of Vatican's Committee for Culture." I'm not sure when the project will get started, but will report any updates here. In the meantime, if you're not sure you can schedule a trip to Neuberg, Germany, then consider another approach to supporting World Peace: Stand Up For World Peace as created on YouTube.com by Maddogza [subscribers, click on Stand Up for World Peace to view video]. I yearn for World Peace. Let's create that Carpet of Peace and then, let's Stand Up on it for World Peace. While at Surfaces 2008 I experienced firsthand the carpet style trends that I've been reading about in the flooring trade press. Trends such as "Beyond berber: Patterned carpet offers high fashion choices" by Janet Herlihy in the 10/1-8/2007 issue of Floor Covering Weekly or "Consumers influence design demands in 2008" by Amy Joyce Rush from the 01/21-28/2008 issue of Floor Covering Weekly or even Mohawk adds ‘stars’ to its 2008 lineup: Innovative styles ... [from the 01/18/2008 issue of Floor Covering News]. All exciting trends because they emphasize the stylish possibilities of carpet, and do so in the context of a consumer's home where hard surfaces will absolutely co-exist with soft surfaces. The combined end result can now be show-stoppingly glamourous, sophisticated and very comfortable. The first article "Beyond berber..." discusses life beyond looped berber flecked carpet. That's the carpet that became so very popular across North American homes some years back. Usually made of olefin fiber, the loop construction and flecks of color forgave a whole slew of sins. Unfortunately, it also 'uglied out' rather quickly - olefin, with its lower melting point, mats down, quickly losing its new crisp look and generally not performing as well as a comparable nylon product would. The second article asserts that consumers are calling the design shots, and flooring suppliers are responding with "more diversity, luxury and color." Enter into a world where we as consumers are savvy about design, color and patterns, love the ideas available through HGTV, and want to bring greater sophistication and beauty to our homes as we express a greater sense of style. No surprise, those berber loop styles just don't cut it anymore! Don't you agree? 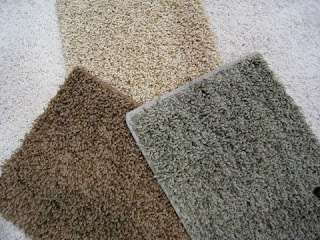 Our carpet selections can be as sassy as we want to be in one room, or as sophisticated as we need to be in another. The options are there! It's all up to us! That boring ubiquitous berber loop can finally be ditched in favor of a fun, fresh-looking and better performing cut-pile construction. 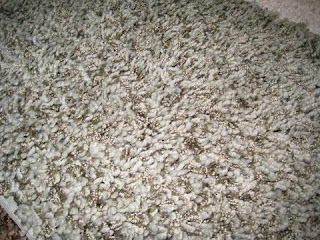 Not only does it have the berber flecks of color, but also unusual effects in how the carpet yarns get combined. 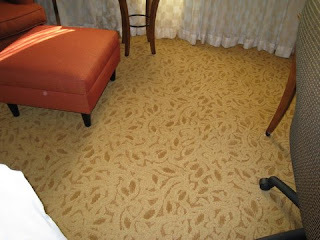 Patterned carpet now captures subtle designs that emulate hard surface swirls, patterns and striations. The pattern can come from combining loops and textures, or using different tones of similar color, or combining yarns of different thickness in one carpet, or even different luster levels in a same carpet. The end result is quite magical and definitely sensual: you can't help but feel it with your hands to better understand what your eyes tell you. Did you read Marianne's post about Fabrica's Silk Weave and The Elegance of Dupioni Silk? I love that carpet can capture the look and feel of luxurious silk! 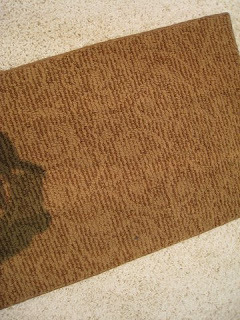 Check out this post by Daily Danny titled Floored by Carpets in which he includes terrific photos of carpets that similarly convey both stylishness and exotic sensibilities. Imagine having a swirly granite floor in a foyer area paired with a dreamy counterpoint swirl in carpet for the living room space off that foyer... It works for me. From a practical design perspective, if you want to combine hard and soft surface in an open space, consider using inlays of carpet in the hard surface - as Vickie Gilstrap explains in the article - or even bind the broadloom carpet and create an area rug. If you are considering combining different carpet patterns and textures in a space, consider an inlay of pattern in a less exuberant carpet, one that carries through the whole space. That will help to unify the whole look as Thom Filicia explains. Have you noticed, too, the richness of color that the new hard surface options offer? What I love about that is that it forces going beyond beige [yeah for color! ], and says that it's absolutely okay to mix and match surface types, patterns, colors and looks throughout the house, customizing for each room. All rooms don't have to be hard. Some can and should be soft and comfortable, while still expressing a sense of uniquely individual style! That, to me, is the ultimate luxury. NOTE: All of the products shown above - except for the room scene of my hotel room - feature new introductions from Surfaces made with Wear-Dated and Wear-Dated Natural Nylon carpet fiber. Did you know that there are many different kinds of silks? Tussah silk comes from silk worms that feed on oak leaves. The warp and weft yarns in tussah silk fabric are different, emphasizing the woven look, and is used extensively in home décor. Silk Shantung is from the Shantung region of China. From the sheer silk chiffon used in loose flowing garments such as scarves and night gowns, to the much heavier silk peau de soie of evening and bridal gowns, whether used in our homes or in our garments, silk gives us a certain sense of style and sophistication. One of my favorite silks is the heavier weight matka silk. It’s taken from the short ends of silk from Mulberry silk worms and is usually spun by hand. Matka is typically all one color but the thick slubs and irregularities reflect light differently giving it a unique character. My very favorite silk is dupioni. The silk threads for dupioni are reeled from two or more tangled cocoons. The silk worms that produce dupioni silk are cultivated rather than wild, in order to give them close living quarters increasing the chances for tangled cocoons. Dupioni silk fabric is tightly woven with fine warp yarns. Heavier yarns with slubs that are revealed at irregular intervals are used for filling. The different yarns shimmer and sometimes seem to change color in different light. It is wonderfully versatile in garments – a white dupioni silk blouse under a black blazer works in the board room, while black dupioni is perfect for that little black dress. In the home, dupioni silk fabric is beautiful in full length drapes, and accent pillows. In much the same way a silk garment easily goes from the office to dinner, the look and feel of silk on the floor can go from an active family room to an elegant master suite. Christine wrote about our recent trip to Surfaces where we saw some wonderful new floor covering products. In particular I was drawn to a new product from Fabrica, a manufacturer of fine rugs and carpets, called Silk Weave. Product designers Libby Cook and Osby Borchardt have created a sumptuous product that emulates the look of dupioni silk, but with the durable characteristics of nylon 6,6. The tight construction is reminescent of dupioni silk fabric, and the high luster yarns used at random intervals remind us of slubs and create just enough shimmer to give it depth as natural light moves through the room throughout the day. The colored neutral shown here is perfect for a master suite that includes creams and brown accents….perhaps a chocolate brown dupioni silk accent pillow for the chaise lounge. Silk Weave will surely bring a sense of style and sophistication to any room. 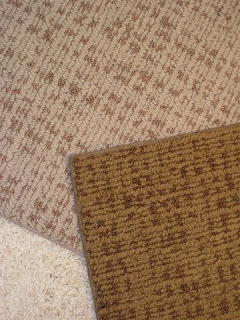 NOTE: Fabrica is a Wear-Dated customer and Silk Weave is made with Wear-Dated carpet fiber. Image originally uploaded by Kathryn Cates Moore. On December 10, Pantone -- possibly the world's foremost authority on color -- announced that the hue of 2008 is PANTONE 18-3943 Blue Iris. Subsequently, design journals, fashion reports and style sections are a-buzz with talk of blues and purples, and what's to become of color in the next 12 months. Never before have I been so aware of the color in my environment. I have a Google Alert rigged up so that whenever the term "color trend" is mentioned in an online article or blog, a link to it arrives in my inbox. This simple term covers everything from haute couture to interior design to automobile paint. When I go to a retail store, instead of simply accepting what I find, I wonder why my color options are what they are; what factor in society, in the economy, in our psyche as a whole leads to the colors placed in front of me? 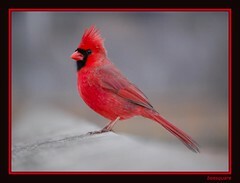 Color is not simply the whim or the random decision of a company executive. The colors that emerge each year on retail shelves and showroom floors have been exhaustively researched and studied, often years in advance. Indeed, companies will often have color and design experts (like Wear-Dated's very own Ann Hurley) on staff who are associated with organizations such as the Color Marketing Group, an international association of color designers. According to the group's Web site, "CMG’s major focus is to identify the direction of color and design trends. CMG members then 'translate' that information into salable colors for manufactured products." In other words, a great many people all over the world contribute their time, energy and research into color forcasts each year. This year, CMG predicts four major trends in color for 2008: very natural, very pure colors that are undyed and look "green;" various shades of blue that reflect both environmentalism and trust in difficult economic times; metallics, echoing this age of technology in which we live; and an infusion of ethnic flavor. Other expert sources suggest similar trending patterns, especially the green trend in design. HGTV.com says that "huetrals" weathered shades inspired by nature, are becoming more popular. "Think shades inspired by nature or that have been weathered and faded. Dusty colors, pale colors—nature as seen through a fog. This is all good news for those of us who’re a bit freaked out by color and how to use it. These toned-down hues are gentle and forgiving." Interestingly, these color trends permeate our society, influencing fashion first, then home decor and retail. They then trickle down to even the automobile industry. In a December news release, DuPont quotes a color expert from Pantone about the latest in hot car colors. "'We are not surprised to see a proliferation of white/white pearl in DuPont's report this year,' said Leatrice Eiseman, executive director of the Pantone Color Institute and author of Color: Messages and Meanings. "'It follows the global trends in home furnishings, fashion, consumer products and industrial design where we're seeing a return to white as a clarifying agent before change, a color of purity and minimalism,' Eiseman said. 'White also is considered a fashion statement. The car you drive is a fashion statement, and consumer preferences for white agree. White pearl itself is a combination of many colors, allowing an ability to change, reflecting, in effect, layers of white.'" Color takes its cue (hue?) from many factors, including global outlook, economy and the general climate. For example, right now, the economy is down, so people are drawn to more soothing, natural colors. Green is big, so again, those naturals keep appearing. And the Olympics in Beijing this summer are expected to bring in the rich, saturated colors from the other side of the world. In your own home, how do you use color? Does it appear in your carpet? Do the trends found in the community around you pop up in your living room or kitchen? Keep in mind that color is far more than just the objects in the here and now. Color is both history and prediction, as well as a strange representation of who we are as a culture. We're just back from Surfaces. It's the only event of its kind bringing together in one place the floor covering industry -- retailers, installers, flooring manufacturers [hard and soft], fiber producers [like Solutia's Wear-Dated carpet fiber], educators and suppliers to the industry. 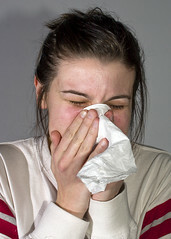 It takes place every year in late January/early February in Las Vegas, Nevada. It's massive -- in terms of scale, new product introductions, and learnings. If you don't believe me, then check out Surfaces - New Product Pavilion, Dal Tile at Surfaces 2008, and Live from Surfaces 2008! I'm still breathless from the event. I got to spend time with Floor Talk! 's Shannon Bilby. We've only met virtually until now, and it felt as if we had known one another forever. She has a glorious appreciation for flooring of all kinds, and the magic that the perfect floor can bring to home design [those are her posts above]. I soaked up as much as possible from the educational sessions [if you're interested, check out Flooring The Consumer where I'll share my learnings] and the retail experiences that Las Vegas has to offer [see Las Vegas and FAO Schwartz]. I took lots of photos of our booth and exciting product introductions. I also got to meet with the folks over at the Carpet and Rug Institute to learn more about their programs so I can share them with you here. 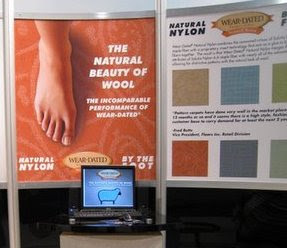 Technorati Tags: Surfaces carpet industry Wear-Dated Carpet and Rug Institute Floor Talk! Del.icio.us Tags: Surfaces carpet industry Wear-Dated Carpet and Rug Institute Floor Talk!